Gap Insurance, or Guaranteed Asset Protection, is designed to cover the difference between what your car is worth and what you owe on the car, should it be involved in an accident or stolen. In the unfortunate event that the car is written off whilst the owner is still making payments, then Gap Insurance ensures that the driver is not left with financial burden alongside the loss of their vehicle. Gap Insurance is most suitably tailored to fit those who expect, should this instance arise, to owe more than their vehicle is worth. There are a number of reasons this may be the case, such as a low original down payment, high insurance rates or a car that is swiftly depreciating. Most companies offering Gap Insurance would usually make this service available for a variety of vehicles including cars, vans, motorbikes and commercial vehicles. You should always check the policy of the company you are looking in to and any exclusions they may hold, which most commonly includes cars used for competition such as rallying, or cars used for private hire, but all terms and conditions should be included in a company’s website. When looking to buy Gap Insurance, it is worth considering the different types of cover to find one most suited to your specific needs. There are several basic categories of Gap Insurance of which the simplest is probably Finance Gap. This straightforward policy covers the difference between the vehicle’s market value and the amount left outstanding on the finance agreement or loan. Another popular type of cover, one that is often offered by vehicle dealers, is RTI Gap Cover, which can cover the difference between the vehicle’s market value and the original invoice price paid. For those purchasing new or nearly new vehicles, however, an increasingly popular choice when looking to buy Gap Insurance is VRI Gap Protection (Vehicle replacement Insurance). This covers the difference between your vehicle market value and the cost of replacing your vehicle with an equivalent. For example if your Ford Focus bought in 2008 was involved in an accident and needed to be replaced in 2012, when the price had increased, then your VRI Gap insurance would cover this. When searching for cheap Gap Car Insurance, to ensure you get the best deal it is essential to look around and consider your options. There are a number of internet sites offering the opportunity to search for a quote estimate, and a specialist directory will have links to a range of suitable companies. 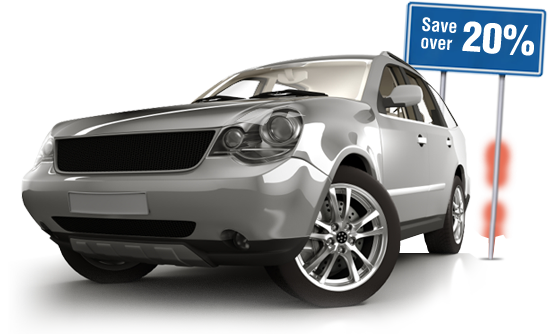 To attain an accurate quote in your quest for cheap Gap Car insurance, it would be beneficial to have prepared various relevant details, such as the model and registration number of your vehicle, the year purchased and miles covered along with your current car insurance coverage details. It is worth observing in your pursuit for the cheapest Gap Car Insurance, that policies often differ from one company to another, so the cheapest quote may not necessarily mean the best deal for you. Always take care to make sure you examine the wording extensively and are satisfied with your deal before buying.